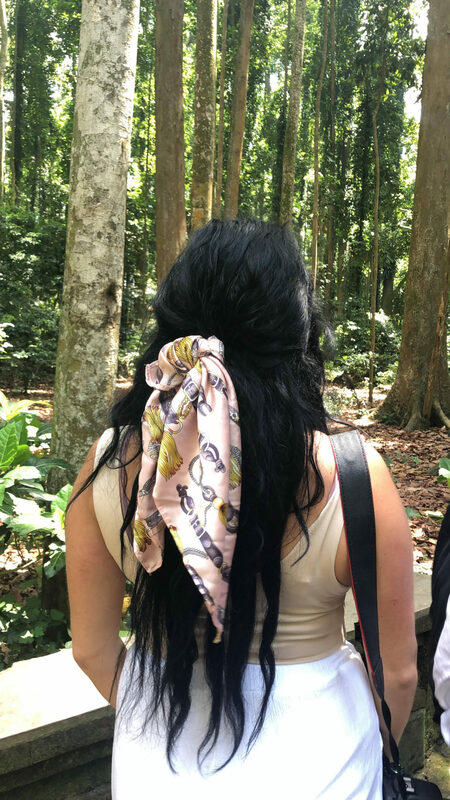 There are hundreds of ways to wear hair scarves and they’re SO on trend right now. 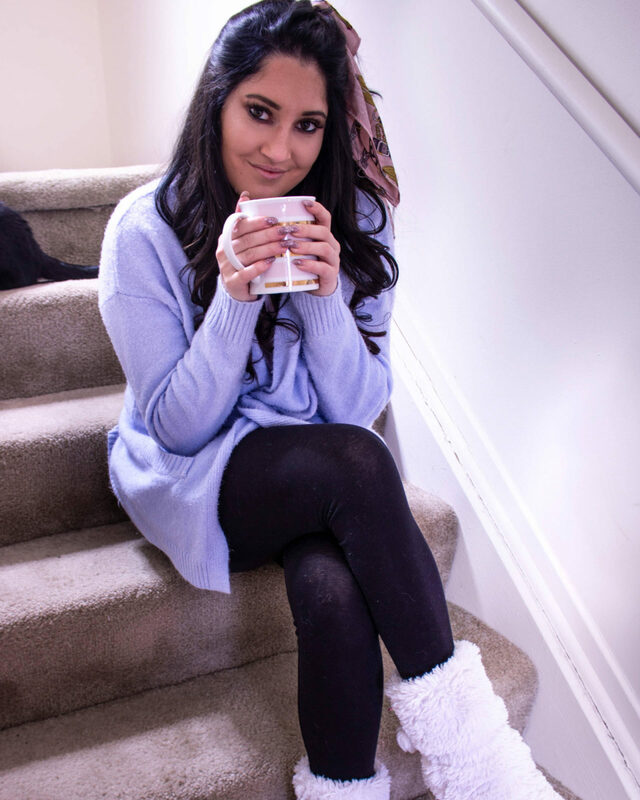 Here are just three of my go-to quick and easy styles with a scarf that I love. 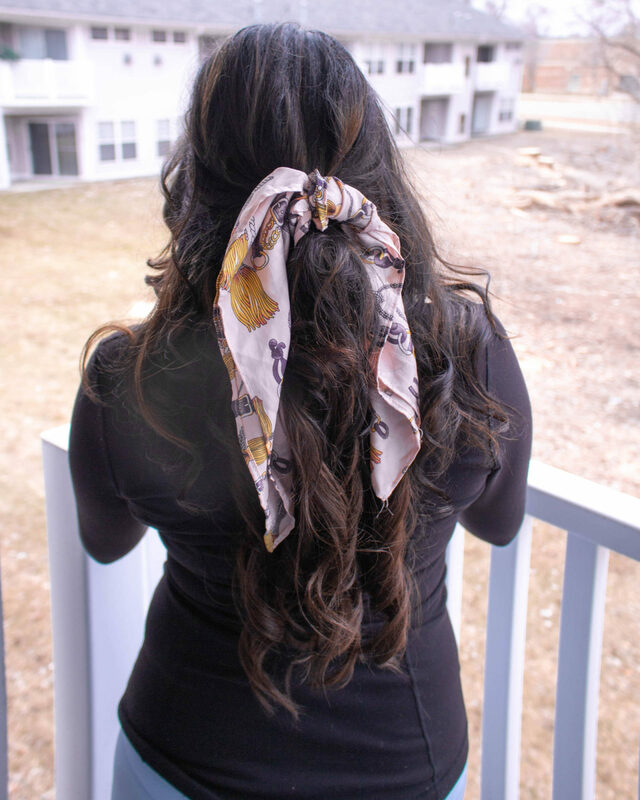 I’ve also listed some of my favorite scarves I’ve been seeing across the internet lately. You can even tie them on your bag for a super cute way to switch it up. Style 1: Half up pony- I love this look because it’s super girly and also gets your bangs out of your face if you’re having an annoying hair day. 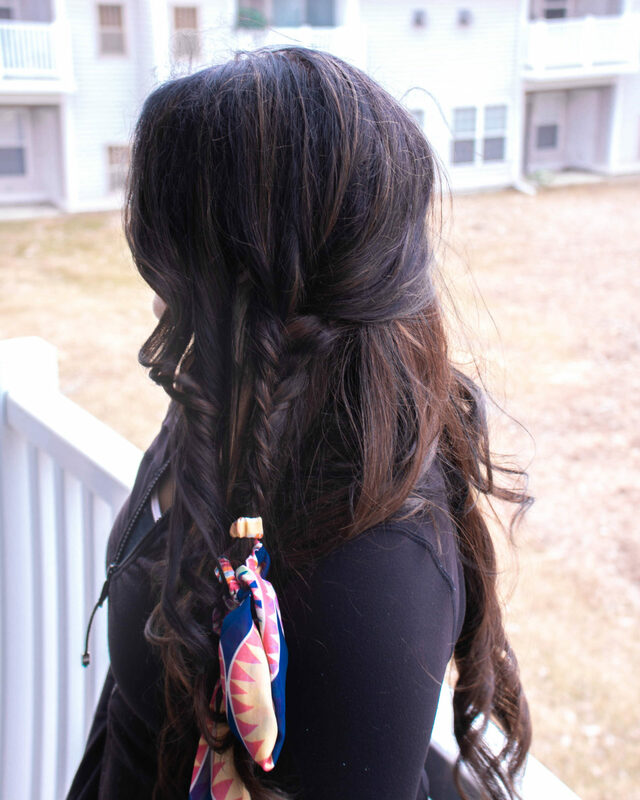 Style 2: Fishtail side braid- This style I probably wear the most. I just pull my hair from one side to the other and do a quick fishtail braid. Then, secure it with a small rubber elastic and tie a scarf at the end. 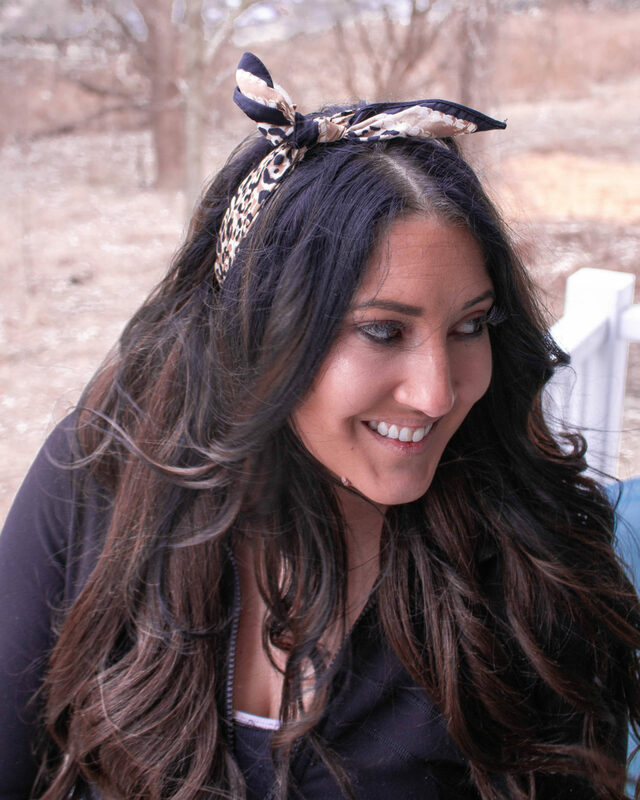 Style 3: Bandana- This is super fun and sporty at the same time. I love this look just to add a little extra to any hair style. Style 4: Bangs pulled back- This is another great one when you’re having a bad hair day and just want your bangs out of your face.